The Co-Chair of Europe’s Green Parties on broken status quo politics and the (culinary) temptations of Brussels. @bueti What are the continent’s biggest #problems right now? @bueti Your message to the Brits pondering #Brexit? @bueti And how are Europe’s #Greens doing? @bueti You are a close #US watcher: What’s the real meaning of @RealDonaldTrump? @bueti Your first interest in #China coincided with #culturalrevolution. Any #regrets from wild communist student days? @bueti Did you own #Mao’s little red book? Any favorite quotes? @bueti What’s your take on today’s #China? @bueti You’ve been an #MEP since 2009. Your best experience? @bueti And your worst experience as a Member of the European Parliament? @berlinpolicy The beer, the French fries and the chocolates. @bueti You’ve seen the likes of @MLP_officiel and @Nigel_Farage up close in the #EP. Impressions? @bueti What’s on your #desk that may surprise us? 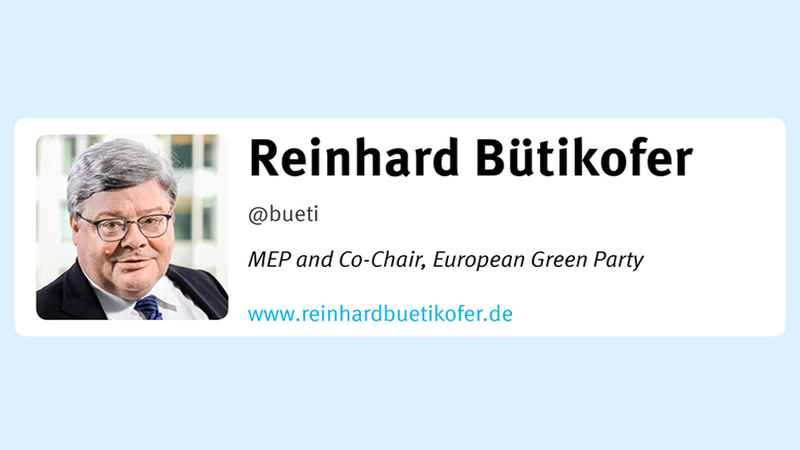 @bueti What’s easier – uniting Europe or German #Greens “fundi” and “realo” wing? @bueti How do you relax? @bueti Your favorite #soccer (ie. football) metaphor in politics? @berlinpolicy Hollande needs it the most. Renzi wants it the most. A German victory would be hated the most. Maybe neutral Switzerland? 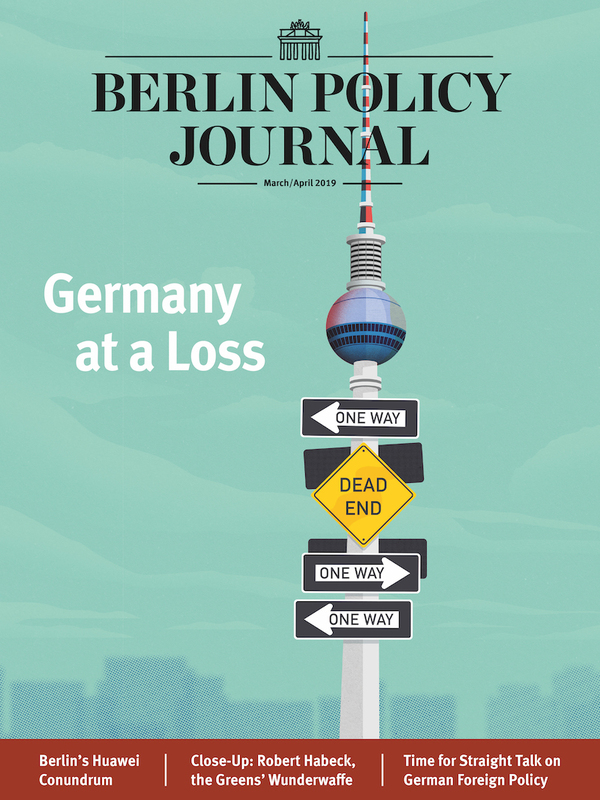 is Executive Editor of BERLIN POLICY JOURNAL. 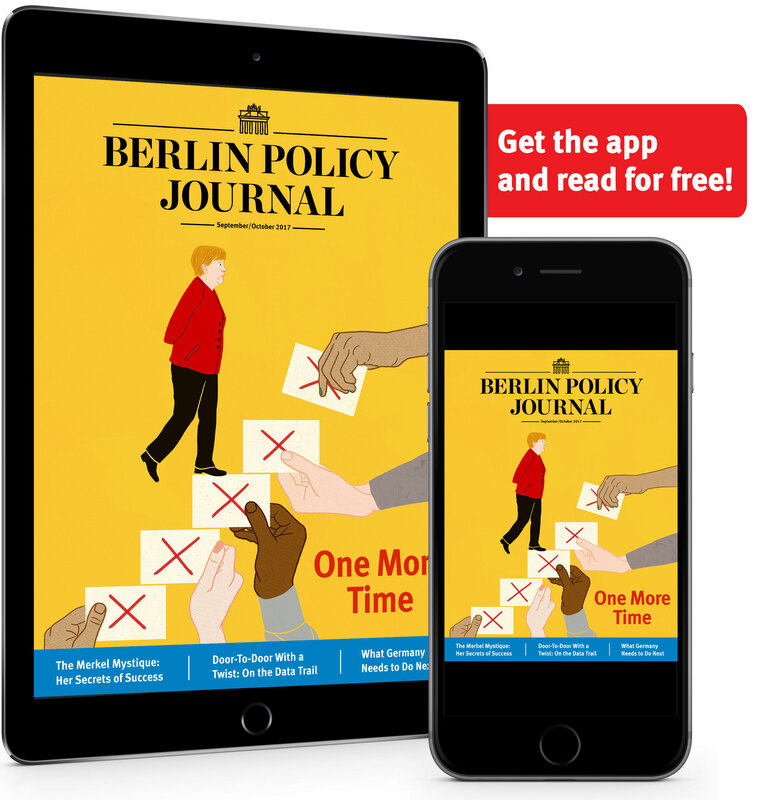 (1963-2017) was Editor-in-Chief of Berlin Policy Journal and Internationale Politik.